While some tourists wander the Karlův Most (Charles Bridge), a few tourists stop to listen to a musician who is playing on the bridge. 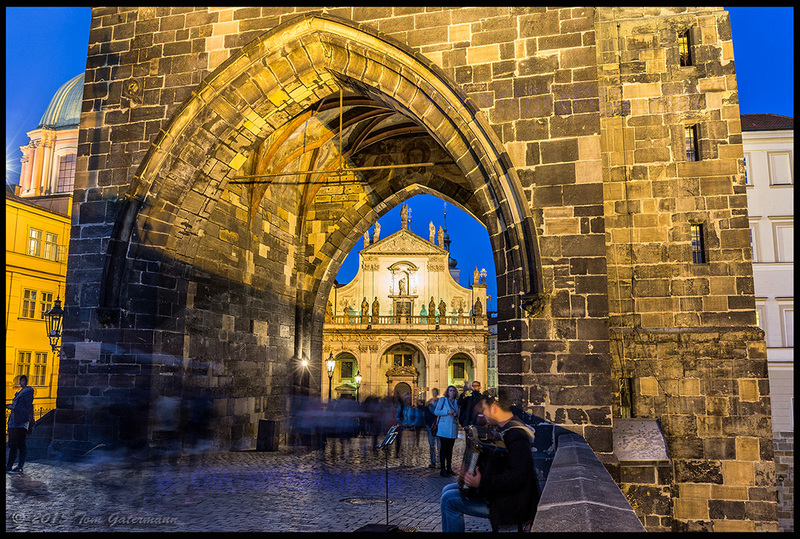 The structure seen through the opening in the Old Bridge Tower is St. Salvator Church, the home of the Roman-Catholic Academic Parish of Prague. April 30, 2015. Praha (Prague), Czechia. Thank you very much Shelly Gunderson​.